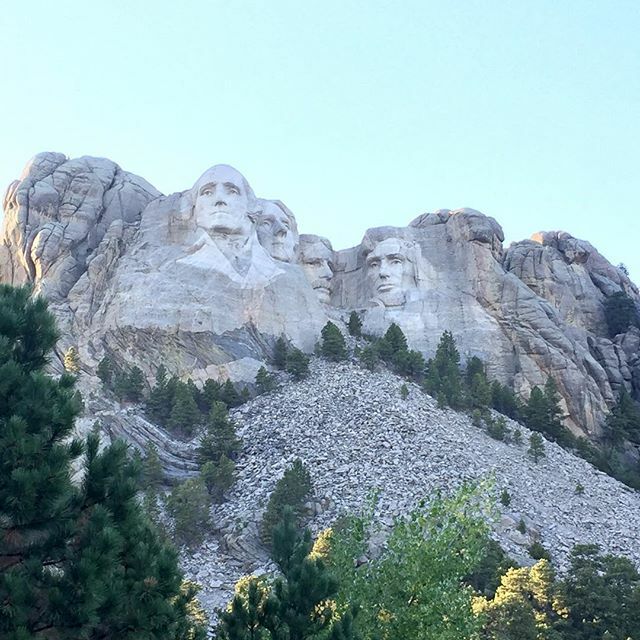 Mount Rushmore was so cool. It honestly surprised me how cool it was. Hearing the story behind it’s creation made it so much more interesting than I expected. So if you ever go, take the time to go to the visitor center and watch the movie and talk to the rangers. • We also stayed around for the night lighting and I am so glad that we did. My favorite part was at the end when all the veterans in the audience were given a chance to come forward and we got to thank them for their service. I was crying like a baby by the end of it all. 🤗 • – Hinson Co.